Skiing is one of my favorite things to do. Nothing compares to the thrill of racing down a mountain amongst the snow capped mountains and trees. 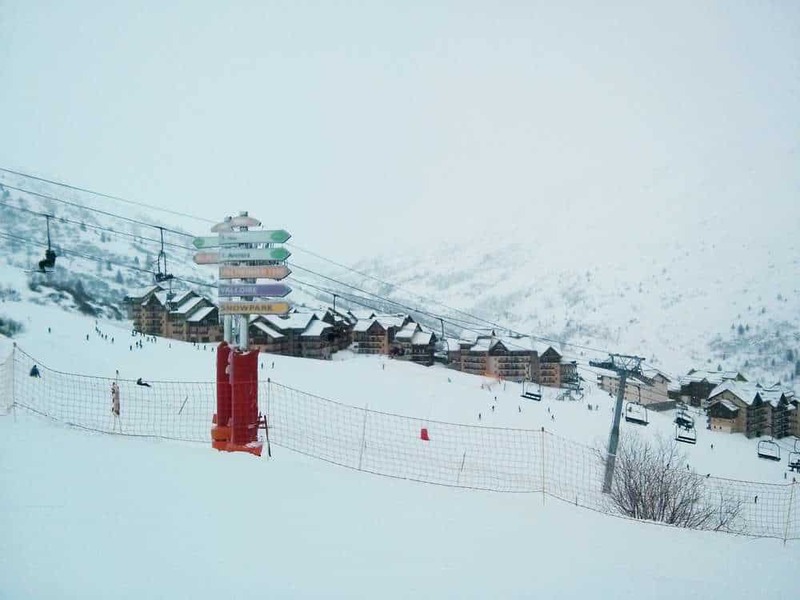 It had always been my dream to go skiing in the French Alps since I learned to ski – an item off of my bucket list. 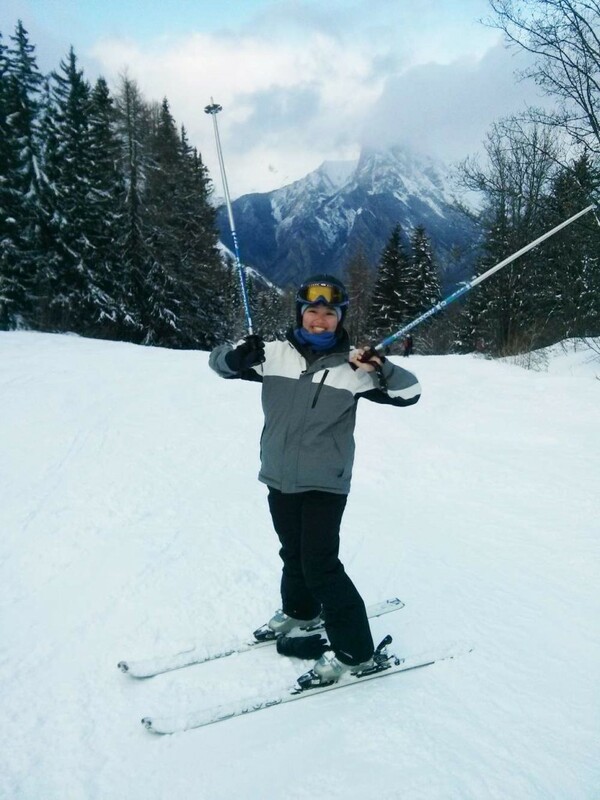 So it was a no brainer when the Boy invited me on a ski trip with his friends to Valmeinier, France. I was game! The trip was for 6 days of skiing, 8 nights and transport there and back from Budapest. 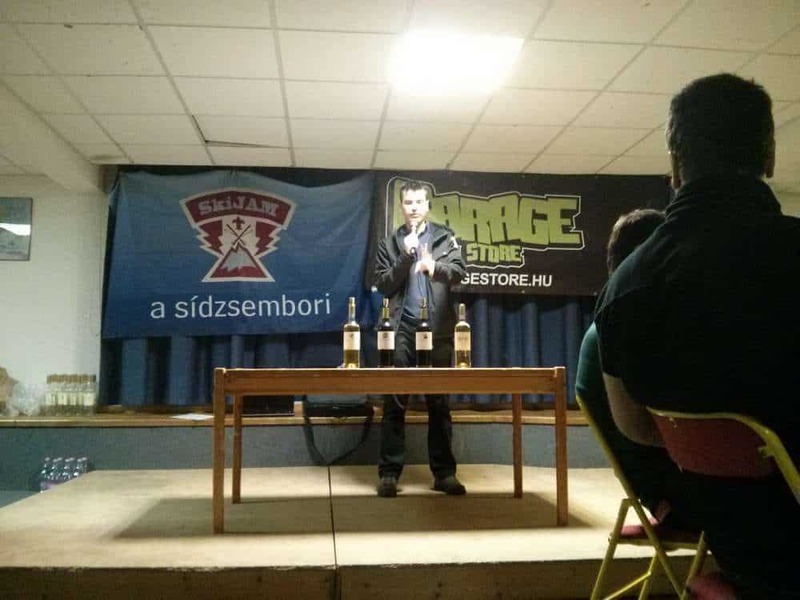 We went with an organization called SkiJam [site in Hungarian]. I’ve never gone on a major ski trip before where I would be skiing every day so this was going to be an interesting experience. In Vancouver, I’m lucky to live close to the mountains (about an hour’s drive away!). Getting to Valmeinier was a big pain. I sat on a bus for 18 hours. There and back. Not fun. I don’t like long bus rides especially with no access to the on board bathroom (it was used to store luggage!). The bus stopped every 3 hours and I took every opportunity to stretch my legs and use the toilet! On the way there, I was still jet lagged and slept what seemed like 12 hours of the journey. The whole trip whizzed by. On the way back I wasn’t so lucky. While they played movies on the bus, in really loud Hungarian, I spent the bus ride doing other things to pass the time. (Side note: have you watched movies in a foreign language? It’s highly entertaining. You’ll surprise yourself at how much of it you can understand despite not knowing what they’re saying. No need for me to watch the Lone Ranger in English anymore). Valmeinier is located in the Rhône-Alpes region in south-eastern France, near the Italian border. 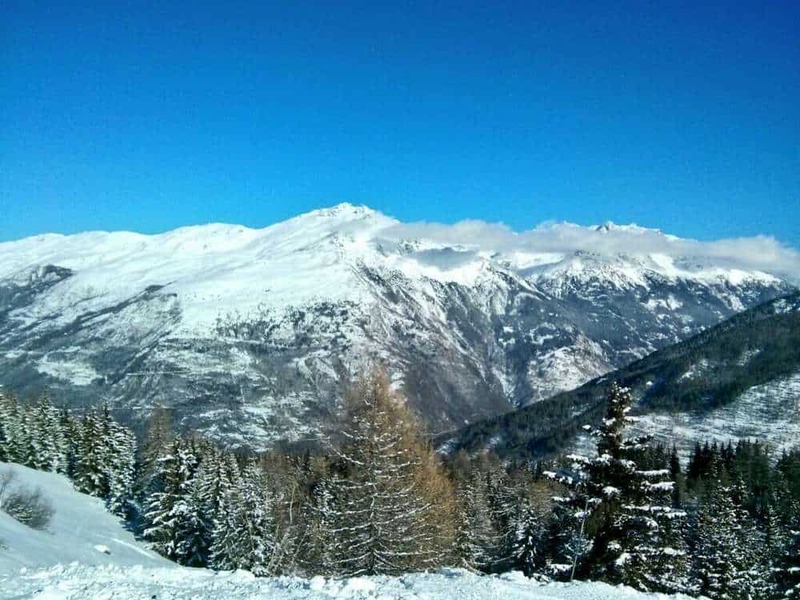 The ski resort consists of two mountains and has 150 KM of runs with a variety of levels. While skiing, I found their concept of what a blue run (the easiest run aka a North American green run) varied – some were extremely steep and hard, while others were little more than a cat track. So empty on the mountain! It was warm while we were there. The village had little to no snow meaning the lower slopes were rather icy and was missing snow. In some parts, you could even see the rock and grass under the snow poking through. The upper part of the mountains were fine and we received some fresh snow while we were there. The mountain in general was quiet. There weren’t many people on the slopes. You could pretty much ski right up to the lifts. The views were beautiful too. Some of the runs were barely used, especially on the back side of the mountain. There were a few runs where I barely saw anyone. It was just me and the Boy against the snow and wind. A little eerie, but it also meant fresh powder. These runs were also harder to get to because of the placement of ski lifts. The locations of the lifts were not strategic. To get higher on the mountain, often you would have to ski sideways across the mountain, instead of downhill. There was a lot of cross country skiing to get from one place to the other. The different runs were not marked well either and I found myself getting easily lost. It was only after getting acquainted with a few of the runs was I able to navigate around. Instead of putting labels of the run itself, the signs were point to the different ski lifts. Valmeinier is split up into two parts: one at 1500 m, where we were staying, and one at 1800 m, the larger part. The village was a disappointment. There wasn’t much of one. I had expected something like Whistler village, which I guess was too much to expect. Even if it wasn’t that big, I had anticipated bars, restaurants and some sort of nightlife. But there was nothing. The only supermarket in the village is located at 1800 along with many restaurants. We were staying at 1500 and it was very sparse – just a collection of apartments. Did you know magnesium helps with muscle soreness? I had no idea. The Boy suggested I take one after my first day when I was starting to feel a bit of soreness. The next morning I woke up refreshed and ready to ski. None of the soreness that I typically get after a long day on the mountain. Halfway through my week of skiing, my knee started acting up and I cut back on my skiing much to my dismay. I had injured my knee playing ultimate frisbee at some point last summer and skiing, putting so much stress on it, aggravated the injury. I ended up sitting out the last day of the trip. The overall experience with SkiJam was okay. There were a lot of organizational issues and almost everything they planned was late. They organized many evening events such as a wine tasting night and parties. While some were well attended, others were like going to a high school dance with only a couple of people. Everything was in Hungarian, which was a bit alienating to me, but it is normal for me. Plus, the Boy and his friends translated the important stuff. However, with that said, the price was too good to pass up. 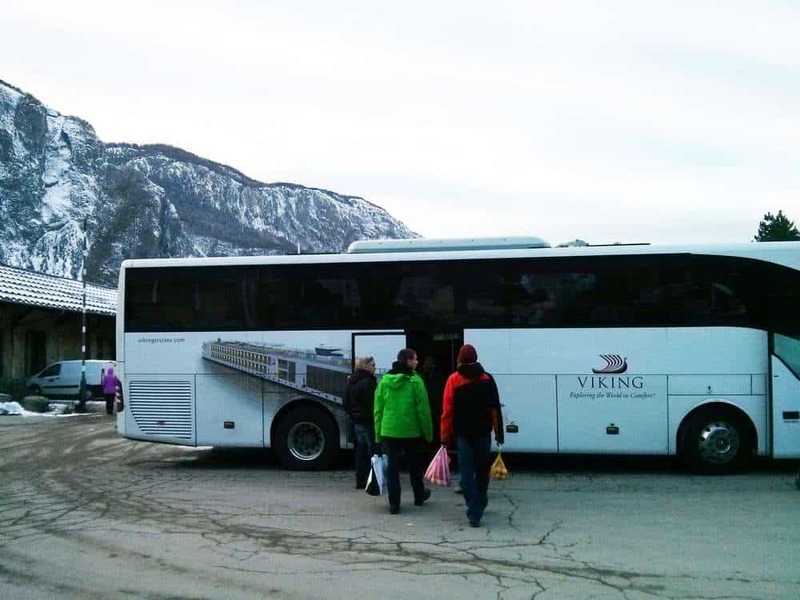 For the whole trip, it cost about 400 euros for accommodation, transport, ski pass, and rentals. 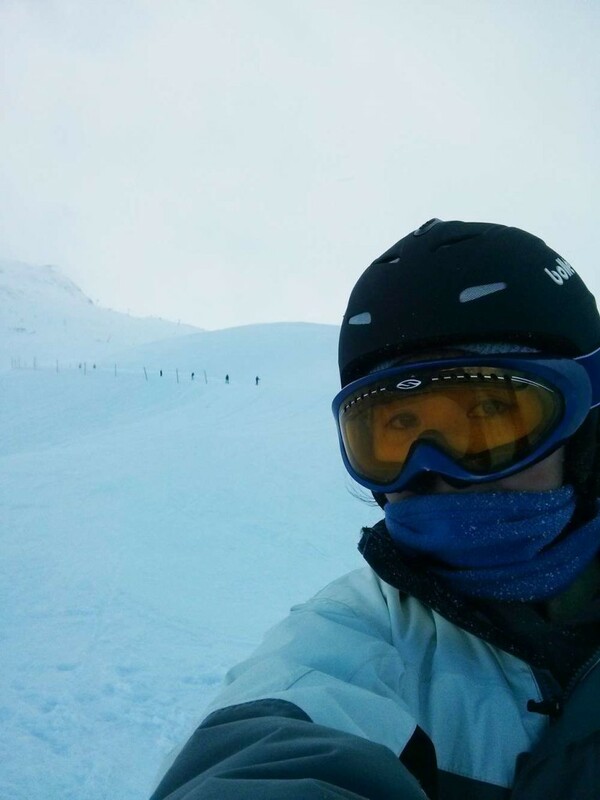 While I don’t think I would go back to this particular mountain, I had a great time exploring the different slopes. I finally achieving my dream of skiing the French Alps! 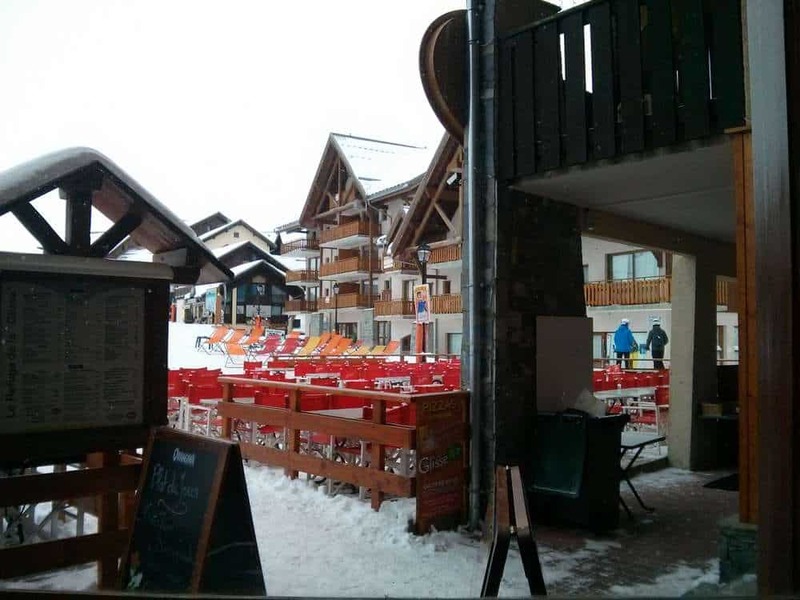 I recommend finding accommodation at Valmeinier 1800. It’s bigger and offers more amenities like a supermarket.Be prepared to cook your own meals. Every restaurant serves the exact same things: burgers, pizzas, and fondue. Not much variety. SkiJam is a great deal for going on an affordable ski trip from Hungary. However, make sure your Hungarian is good or bring a Hungarian friend along. All communications are in Hungarian. While some spoke some English, Hungarian knowledge is definitely needed. Great pictures. I have never been skiing and wouldnt even know where to begin but hopefully next year as I want to visit Switzerland. It can be a bit intimidating when you start, but once you get over the fear, it gets pretty easy. Hopefully you get a chance in Switzerland! Besides the lack of dining options, this place looks incredible! I’m amazed by how few people are on the mountain in your pictures! We just got back from skiing in the Austrian Alps at Alpbach and it was BUSY! I am not a skier, so I stayed on the bunny slopes, but even those were crowded! Other than the amount of people, it really was a beautiful place to ski! I haven’t looked at my pictures yet, but I’m hoping I got some good ones! We were really fortunate to not have that many people on the slopes. I hate skiing when there are so many people around. Hopefully your photos turned out! Looking forward to checking them out. I am very jealous. I’ve never had one of these trips because I am a cold weakling. Once you get moving it’s surprisingly very warm. I hardly felt cold – only a couple moments when going up the chairlift from the wind, but once that passes, its nice and toasty again. Great reading. I’ve always wanted to go to snowboard or skiing where’s real mountains. Unfortunately I didn’t have a chance this winter, hopefully next. I hope you get a chance to go next season! It’s a lot of fun. Great tip about the Magnesium! Though I’ve never been skiing, this ;looks just gorgeous ! *love* it all as the messages, the pictures and the quality of the writing. Thanks !